You can grab this cute EARTH DAY READ AND WRITE HERE! 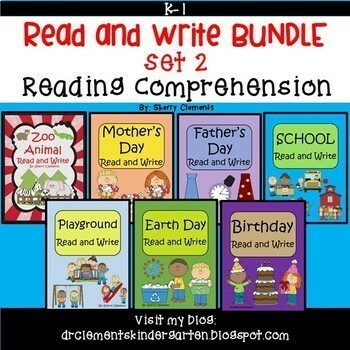 This product is NOW AVAILABLE in a Read and Write Bundle 2 offering a SAVINGS of 12%. You can grab the READ AND WRITE BUNDLE HERE! 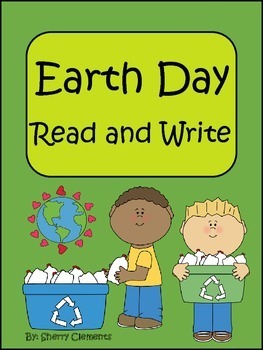 In this three page Earth Day Read and Write pack, students will read the one page story about Earth Day and color the pictures. Then there are two pages with five sentences on each page about the story. Each sentence has a missing word. At the end of each sentence, there are two words for students to choose from to find the correct missing word to tell about the story. Students will circle the word that correctly completes the sentence matching the story on the first page, and then write the correct word in the blank.